You or your employer pays for your dental insurance throughout the year. As long as you keep up with your premium, your policy gives you a certain amount of money that you can use for approved dental services. Usually, this annual maximum is between $1,000 and $1,500, though some plans offer an even higher allowance. If any portion of that money remains unused by December 31, it disappears forever. Very few plans have a roll over provision that lets you use benefits after they’ve expired. Essentially, most dental insurance plans put you in a “use it or lose it” situation. If you truly want to get your money’s worth for your insurance, you should be sure to at least attend two annual checkups with your dentist. It’s also wise to take care of any recommended minor restorative work before your benefits expire at the end of the year. Save next year’s maximum. If you know you need to have some dental work done, but its cost will exceed the amount of your remaining 2018 benefits, schedule a consultation now. 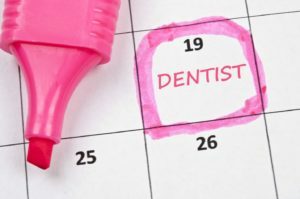 Your dentist can start planning your treatment before this year ends. In 2019, you’ll have your entire annual maximum to put toward your procedure. Consider your network options. By visiting a Cigna dentist or Aetna dentist (or a dentist who is in-network with whatever plan you have), you may be able to enjoy the lowest possible out of pocket costs. That is because in-network dentists have already negotiated the fees for certain services with insurance companies, which leads to savings for patients and their policy providers. Use your FSA. A flexible spending account (FSA) can be used alongside your insurance to reduce your out of pocket costs. FSA funds may expire at the end of the year, so it is best to use them as soon as possible. Ask for guidance. The staff in your dentist’s office are familiar with how insurance works. They’ll be happy to share their insights with you! Are you getting all you can out of your dental insurance? Scheduling an appointment before the end of the year can help you maximize 2018’s benefits. Drs. Elias Deros and Venu Chimmiri are proud to work together to provide excellent dental care to the Enfield community. They are in-network with a number of insurance plans, including Delta Dental, Aeta Dental PPO, United Concordia, Cigna, and Anthem BlueCross BlueShield. To learn how our team can help you get the most out of your policy, contact us at 860-749-6088.